Q: What's black, white and read all over? A: A newsprint manicure! Apply two coats of your nail color. Allow the polish to dry thoroughly. 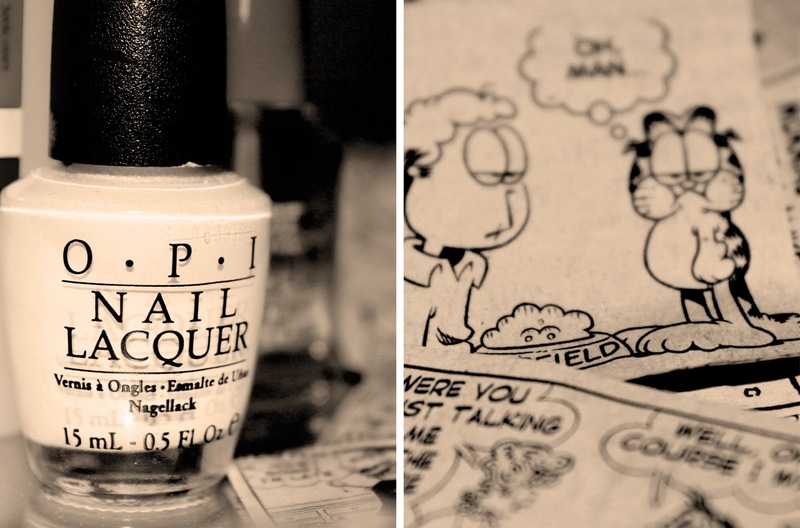 Dip your nail into the rubbing alcohol for a few seconds. Place the newsprint strip on top of your nail, and press it down lightly to transfer the ink. Pull the strip away and repeat on all fingers. P.S., Aren't we all grateful for the fact that it is Friday? I know I am!! Ok, this is seriously the coolest thing ever. Nerding out moment! Love this! this is the coolest thing ive ever seen!!! Just found your blog though a friend's and I'm loving it. Your newest follower! 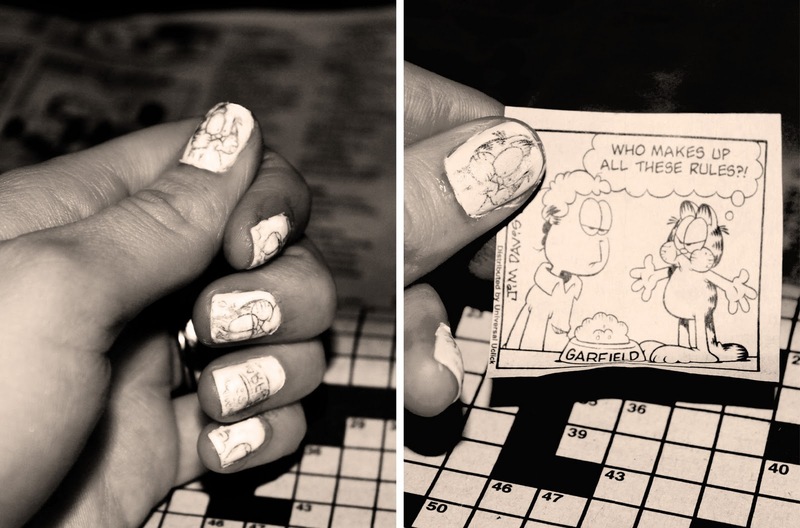 Newsprint Manicure? This is brilliant! I LOVE it!! Oh, and please stop by for my swimsuit GIVEAWAY! I just found this and it looks AMAZING. I can't wait to try it! And I'll definitely post the final results on my blog too! AWESOME!